I woke up to the sound of falling rain outside of my open window. The a/c has been off all week and I'm loving this weather - rain and all. I accomplished everything I needed to yesterday... got the replacement drivers license, got the tag for Cody's car. I was tempted to get a Gators tag for it... since he's such a huge Florida State fan... but it would have cost an additional $90. No deal. I prayed yesterday morning that yesterday would NOT be one of those "character building days"... you know... the ones that are fraught with peril and challenges that help us become better people. Maybe it seems sacriligious ... to actually pray that... but it comes as no surprise to God that I hate dealing with the DMV and I had little time, money or patience for hiccups yesterday. Then I had to laugh while I was driving... windows down on a beautiful fall day... to the picturesque little town of Toccoa... to the tiny drivers license office. The people there were so nice and the process - although it took two hours total with drive time - was fairly easy. Yes, it really stunk that I had to go get a replacement license but it WAS character building... in that I realized how desperately I needed a change of scenery, an afternoon away from the office, a little time alone to think and pray. The lesson... even those really unpleasant chores that we have to take care of can hold a blessing if we look for it. I waited too long to eat lunch yesterday and ended up with a miserable headache... but i popped some ibuprofen and got a little rest before church. As much as possible with Austin, Logan and Logan's girlfriend hanging out... but... I can't complain at the beginning of the week about being lonely and then complain about having a house full of giggly teenagers during the week. Jamie Gant, bless her sweet little heart... came running into the fellowship hall last night with open arms... couldn't wait to hug me... claimed a spot beside me at dinner instead of sitting with her buddies... and then had to go BACK to see Austin again to get another squeeze from him. I'm running out of time... must eat, pack lunch, glam and dash. Austin asked for a ride to school since it's raining and i would have been glad to do it IF I was already ready and there weren't going to be two people missing first thing this morning at the office... I can't be late. He's angry but he'll get over it. Austin has a lot of trouble with frustration when he doesn't get his way. It's my job to prepare him for adult life... and in adult life... things don't always go your way. Hope you all have an amazing day... find something to be grateful for in everything you do. Remember my mom in prayer, she's sick again. She went back to the hospital last night. I think the funk of yesterday has been washed away and a new peace has settled in... life is funny like that. I was so isolated over the weekend... self-imposed, truthfully, because I wanted to make sure that I was over the strep thing, that I got enough rest and didn't expose anyone else... but it was lonely. In constrast... last night I had a living room full of young men playing Wii... throwing animal crackers at each other... and Austin's girly giggles kept wafting into my room. He has a ridiculous giggle... and he was giggling constantly last night. All mothers know that you are happiest when your kids are happy... and I knew for sure last night that at least one of my babies was happy. In a way... it makes it all worthwhile. Not to sound like a Jewish mother or anything... but this is what has driven me for the past (almost) 24 years... I've worked towards raising happy kids. And... it really seems that all of my kids are happy. I didn't work as hard, unfortunately, at making sure mommy was happy. I'll spend the next 24 years working on that, I guess. I mean... I've got a lot of life left, Lord willing. I started the whole mommy thing really young and I had to learn to adapt to that life... while my friends were going to college... I was visiting the obstetrician. I was the youngest mommy at the preschool. I was the youngest mommy at the ballfield... and then, slowly, I grew into that life. I learned how to do the PTA thing... how to negotiate the ballpark politics... this is just another adjustment period. The nest is emptier than I thought it would be.... but as long as I'm in it, I'll feather it nicely. I always tease my overachieving sister in law that she should "aspire to greater mediocrity"... and the truth is... I excel at being average. I'm not the best mom ever (although Cody used to tell me I was... usually whenever he wanted something)... but I'm also not the worst. I've done a decent job. I'll be awesomely average at this stage of life as well. The bathtub drain is stopped up. I need to catch up on laundry. My living room needs vacuuming. I'm behind on my homework for my Wednesday night bible study. I haven't met my sales goals for the year. I am constantly behind on my bills. I complain too much. I don't exercise enough. But... I wake up every morning hopeful, optimistic, enthusiastic (usually). One of Austin's buddies that was hanging out with us last night was musing that his mom was mad at him because he didn't want to go to Walmart with her. Mom, like me, is single. I told him that sometimes... we just don't want to have to be alone. I'm not sure it's fair that we ask our kids to keep us company... but there's a lot about being a single parent household that isn't fair. I've made a commitment to Austin that we will stay put and that I won't date until he graduates. We're a year and a half away from graduation, Lord willing. I think... ultimately... the least he can do is keep me company every now and then. It gets lonely. I think this post is a lot of dog chasing it's tail. I don't know if it even makes sense. I guess the point is that there's a lot of excessive mediocrity going on in my life right now. No dramatic valleys... no dramatic mountaintop experiences. I'm getting by. I'm putting one foot in front of the other every day and I think that's very acceptible. And I still haven't found my drivers license. 1. the Library. My library books are always due back on Monday and even if I haven't finished them all, I just go back and renew them and turn in the ones I've finished and pick up a few new ones. I love the library. 2. Junie B. Jones. Sarabeth is having a themed birthday party- Junie B. Jones - and I will be playing the character of Mrs. (the school teacher) I had to pick up a book at the library to do costume research. Austin will be Mr. Scary. He will need a mustache and a tie. 3. Sixty six degrees during lunch. Even though it's damp and rainy, that's durn near perfect. 4. Thanks to the cooler weather... tights were necessary today. I love wearing tights! I love them more now that I'm thinner. 5. I packed a great lunch today - panzanella and 3 bean salad. YUM! 6. Dinner is already pre-cooked... just needs reheating. Not sure what it will be yet - probably the okra and tomatoes with a little cooked chicken thrown in for protein. 7. I got to chat with Whitney today about her upcoming nuptuals. No date has been set. No plans have been made but she did get a manicure so she could show off her UH-mazing ring! 8. Still riding the happy wave from the car loan I closed on Friday. 9. Yesterday marked two years since I moved here. I'm still considered a newcomer, however. 10. The leaves outside of my office window are a little more colorful than they were last week. I love fall! I hope that whatever is happening in your world... that you're finding your own reasons to love Monday. Hugs! i can't find my drivers license and I don't know who I am! I've lost my drivers license. Not "lost" as in - the law took it from me. "Lost" as in... I've put it somewhere and can't remember where. Which is bad timing because I've got to get a tag for one of my parents' cars and you have to have a license to transfer a title. Good times. You can order a replacement online but you have to know your license number. I don't. It's lost. I thought that maybe it would be on my records at the office but I still have my Florida license listed. Argh! So I will have to take time off work to go get a new drivers license and pray that I have sufficient documentation to prove who I am. Although... I have to think that this happened at a rather poignant time in my life because I really don't know who I am. Yesterday I went for a drive because I needed to get out of the house... I felt really run down and exhausted all weekend but I thought the fresh air would do me good. I serenaded myself with the song, "Corner of the Sky" from the musical Pippin. I hate reading lyrics but some of you don't mind them and you don't know showtunes so I thought it might help give you a frame of reference. We sang this in Jr. High chorus. I didn't realize then that we were learning a lot of showtunes. We were Gleeks before Gleeks were cool. My favorite chorus memory: in 9th grade we had a Christmas assembly... sort of a variety show where several groups from the school performed. My cheerleading squad did a skit and then I had to go change into my formal, floor length chorus gown to sing with the chorus. My gown was hanging in the robe room in the chorus room... it was a quick change... out of the cutesy little skirt and bloomers, into the long dress... only... when I got to the robe room, someone had taken my size 5 dress and all that was left was this HUGE dress that belonged to someone else. Ever the performer... I put on that Ali-baba tent and went on stage with it puddling at my feet. It was truly for a much bigger person and I was, at the time, about 5'1 and 110 pounds. Ridiculous. This was a restful weekend for me but such a lonely weekend. Austin spent all weekend with his newlywed friend.... and then when he came home last night, his friend came over to play Wii with him. I didn't even ask about his wife. I mean... it's beyond words... they were noisy and kept me awake late and left my kitchen a mess. Neither one of those kids is anywhere near ready to be married. Austin asked how much our rent is... he was trying to encourage his friend to rent one of the nearby duplexes... when I told him, Austin flipped out. "THAT MUCH?" Yes. And it's not really that much, to be honest. I could find something cheaper, for sure, but maybe not with central heat and air and all appliances. I've decided that when the time is right... meaning... when Austin graduates and I've had a chance to hopefully start earning more money and owe less money, etc, I want to seriously buy a little cabin around here somewhere. I could get a small cabin for under $75,000 and if, someway, somehow my circumstances changed, it would be a nice vacation destination for friends and family or perhaps provide some rental income. My credit is shot right now so there's no way for me to do it... i have no savings... but it gives me something to work toward... a little motivation... a long term goal. Because lately I feel like i'm just sort of drifting. I feel like I'm working just to get by, just to barely keep my head above water. I feel like I'm going thru the motions. I don't know who I am. I have always been a mother and now... I'm not. I mean... I don't mean to write Austin off but truthfully... he's gone the bulk of the time. He doesn't want to spend time with me. He will if it benefits him but he's never been the kind to really perform selfless acts of entertaining mom. I never minded being single because I was always a mom but now I'm just me and I'm not sure how that works. It hasn't helped that I felt so bad this weekend because every time I'd think about doing something, I'd have a reality check of not really feeling up to it. I need a signficant other but I don't want to make the same mistake I've always made of trying to make a wrong person fit just because I'm lonely. I really need to find that drivers license. I put rum flavoring and coconut milk in my coffee this morning to make it feel tropical. It's only alright. It's raining outside. No point in doing the mega-glam routine. I'll frizz anyways. I love the natural air conditioning of having the windows open. I wish I had a ceiling fan to circulate the air... but it's still nice. I can't believe it's almost October. I can't believe it's already Monday again. I hope Austin cooperates this morning. He's been extra crabby in the mornings lately and it really hurts my feelings to have my sweet, pleasant, "Doodle bug...." met with a "I HEARD YOU!!" Good morning to you, too. The cats apparently ran out of food overnight and Bitty was not able to get me to wake up so Stubby climbed on top of me. That cat is HEAVY! I got up. Time to post, shower, pack a lunch, get presentable and get this Monday underway. Love and hugs! I'm obviously one of those people who loves cilantro... this is my 3 bean salad with red, white and black beans (rinsed to remove as much salt as possible) with 1 cups of sliced radishes, 1 cup of red onions, 1 cup of cilantro... red wine vinegar and olive oil. I'm just not a red tomato kind of girl... as long as Loganberry Heritage Farm is selling these beautiful heirloom tomatoes... I'll save the reds for winter when I can't get anything else but canned. I didn't have the flash on for this picture but this is taboule... bulgur wheat with tomatoes, cilantro and avocado. Another one I forgot the flash on... roasted beets and wheatberries with goat cheese and pumpkin seeds. YUM! Today I have cooked like a madwoman... I bought some really nice okra today... big thick pods... so OF COURSE... I had to have some stewed tomatoes and okra. I used 4 cups of sliced okra, 4 cups of stewed tomatoes, 4 cups of collard greens, 1 cup each of onion and celery, 2 cups of fat free chicken broth and.... secret ingredient.... 1 cup of LITE organic coconut milk. That stuff is DELISH! I made a breakfast salad of sorts... wheatberries, apples, a little celery, lemon juice and apple cider vinegar. I made that gorgeous 3 bean salad above. Not the traditional kind ... so much better! I made panzanella again. The bakery had some day old - half price bread - and I had a mess of wheatberries cooked up so I doubled the recipe from last week. I also had some really nice fresh basil to use this time - last week I only had freeze dried basil. Those incredible colors of tomatoes... and it's so good! I bought turkey burgers for Austin... organic antibiotic free chicken for me... flounder and salmon... some steaks for Austin (growing boy needs red meat)... I baked two different kinds of squash and potatoes so that they can just be heated up when I'm ready to eat them. I roasted garlic. My farm friend suggested that I use the spicy garlic - German and Russian varieties instead of the standard Italian - for roasting as it holds it's flavor better... I've got carrots and celery sticks ready for hummus... just a really good week of eating ahead of me, already paid for, cooked and ready to eat! I'm feeling quite accomplished! Well... I'm gonna go to the doctor this morning and let her test me for strep. Yesterday I had that really raw strep like feeling... and I decided that although it pains me to spend money on doctor visits, it's irresponsible of me to deal with the general public when I may be contagious. So I'm going to bite the bullet and go. Hopefully I'll get an all clear and be on my way into to the office bright and early. It's hard to judge illness since I'm stronger than I used to be. On the way home to change and head to church yesterday afternoon I realized that I might have strep... based on symptoms and such... and I realized that I probably shouldn't go love and hug on my babies there. SOoooo... not having dinner planned... since our usual Wednesday night supper is at church... and really wanting something warm and soothing... I decided to make soup. I really didn't feel up to a major cooking event so... I went by the salad bar and picked up some already prepared veggies... spinach, carrots, mushrooms... with a little diced chicken... and picked up two cans of low point chicken noodle soup... and tossed all of that in a pan together for dinner. It was thicker and healthier than regular canned soup... and it was ready in fifteen minutes. It's not my ideal... I would much rather cook from scratch and have greater control of the sodium content... but I was proud of myself to making canned soup healthier and heartier. PLUS... I have at least two more servings saved in the fridge. It's a small world... I got a facebook message yesterday from a Junior High school friend who thought she might have been in an elevator with Purple Michael (who lives in Chicago) in a Fayetteville, Georgia hospital last week. It turns out... it really was Michael! What totally cracked me up was that she recognized him and referred to him as Purple Michael... he's famous in my blog! Or infamous... hmmm.... I made mention of his sexual orientation last week to someone and they were disappointed that he wasn't a potential mate for me... "you make such a cute couple..."... we always have and we always will... in some ways he's much better than a potential mate because we love each other unconditionally. We know each other's failures and shortcomings and choose to love each other anyways. I had a talk with a friend this week about unconditional love... I think it's the most amazing gift you could possibly give. I can promise you only one thing about myself: at some point I will disappoint you. It will almost certainly be unintentional but it will most certainly happen. I'm human that way. I'm lazy, selfish, stubborn, obnoxious... but those traits also make me relaxed, understanding, loyal... and I think it's a rare, precious soul who can understand that your flaws are also your strengths. They're canning tomatoes at the farm this week. I asked if they would sell them and got an invitation to come can with them and share in the bounty! How exciting! Of course... I have this pesky full time job that keeps me from enjoying such domestic pursuits but it's exciting to have the prospect of learning these things. I think I want to be that old southern lady with a little cabin in the woods, a few tomato plants and a few cats... who can grow and preserve the bulk of my own sustainance. I'm so grateful for our little duplex but eventually, I want my own little home. My weight is up slightly today. My points have been lower this week but I did have the soup yesterday - huge amount of sodium. My last three weigh ins have been losses of 2.8 pounds, 1.8 pounds and 1.8 pounds... i'm prepared for a fluctuation... a mini-plateau... even perhaps a small gain this week. I'm staying the course, of course, but I know that I won't have these big losses week after week all the way thru to goal. Being mentally prepared for a less than stellar scale victory helps me. Sooooo... this thursday I'm thankful for... the ability to get affordable healthcare, good food, unconditional love, Purple Michael, the farm, healthy weight loss perspective and being in a happy, healthy state of mind. AND THE WINDOW IS IN! No more construction at the office! It looks fabulous and I'm glad we did it- although Kev no longer has a man cave - it's a real office now. Happy day, y'all! I can't decide if I'm sick or not. Since my co-worker has been really sick with a sore throat - probably strep - for the past week, I'm paranoi-ing that I've got it too. I have a sore throat but not that sore. I am not sure if it's a allergy sort of thing or just excessive thirst or a true sore throat. I don't want to waste the money going to the doctor if it's just allergy. I don't want to waste money missing work if it's just allergy but we really try to be careful not to expose each other at work and ... honestly, it's stressing me out. The only other symptom I have... wait... there are two... one is the crazy ear pain at night only and only until I get upright and have something to drink.... which could mean sinus pressure and could be a sore throat symptom. The other symptom is extreme exhaustion. It hit me Saturday evening like a ton of bricks ... but I had been cooking and running around all day. And it hit me around 4:30 yesterday like a ton of bricks... but work had been crazy busy. So... I'm just praying it's nothing contagious. Today is my daddy's birthday! Be sure and go by his blog and leave him a happy birthday comment... http://mrjimsgoodmorning.blogspot.com/2010/09/birthday-greetings.html He's still super young... they had me and Jim while they were really young and so we have the pleasure of knowing that our parents have grown grandchildren who can take care of them in their old age. At the office today we're putting in a new window in Kevin's office. I have such a beautiful office with a big window that takes up one whole wall with a beautiful view... Kevin's essentially in a cave... so Big D decided to knock out the brick wall and put in a window. During the day. While we're working. I'll be about three feet from where they're working. Merciful heavens. I've worked with major construction before at my uncle's office... jackhammer right outside my window while I tried to answer calls. I'm packing some advil just in case. Time to pack my food, glam and dash in to the office. Let me know by comments here or comments on the facebook link if there is some way that I can pray specifically for you today and don't forget to stop by and wish Pop a Happy Birthday! I love you, Pop! You know that you've had a long day when the idea of the drive home seems so daunting that you consider curling up on the carpet in the conference room floor. You know that you're talking about Weight Watchers a lot when you say to your teenage son, "do you have any idea how many points are in a bbq pork rib?" and he does. You know that your weight loss plan is successful when people start asking what you're eating. And listen. You know that you're grumpy when your normally edgy sister in law tells you that you're grumpy. You know you're exhausted when you decide that you'll let your current Farmville crop wither rather than get online when you get home. You know you're exhausted when the idea of eating dinner seems like it will take too much energy. You know that you're worn out when your kid who stayed up too late last night asks to go hang out with a friend and you agree... knowing that it means the house will be quiet for a few hours. HOW AM I THIS TIRED? IT'S ONLY MONDAY! I'm working on reasons to love Monday. Sort of a variation of Thankful Thursday... sort of like my "Feel sorry for anyone who isn't me" posts.... all on the same Pollyanna Positive theme. I'm a complainer by nature so being positive takes work... but it has rewards. 1. Mondays only happen once a week and once they're finished, you don't have to go thru it for a whole week. 2. Dancing With the Stars tonight... can't wait to see Bristol Palin, certain to be this season's Kate Gosselin. 3. LUNCH TIME! I can't wait until lunch break... today I'm having panzanella (bread salad), massaged kale with sweet potatoes and maybe an apple and I'm working on my Ruth bible study because I've only done two days of my homework, which means I have three more days to get through by Wednesday night. 4. COFFEE... starting my day with mega doses of Folgers black silk coffee with fat free creamer and no sugar. I don't even miss sugar any more. 6. A blank slate, fresh perspective, do over, chance to get it right. 7. Mondays are great because they're only two days away from Wednesdays when I get to hang with my hen party... and four days away from Fridays, which are pure joy and five days from Saturdays which are my favoritest days of the week - when I can go to the farm, Weight watchers, etc. 8. I love Monday today because I was sooooo afraid I was going to be really sick today after the way I felt yesterday and I feel pretty good. Still woke up with major ear pain and will be consulting Dr. Google about that... but I feel good enough to go to work and that is a blessing. 9. More than a mouthful Mondays... the commercial that comes on every Monday during Fox and Friends... starring my friend Jamie Moore as Ronald McDonald. It cracks me up every time I see it. 10. It's not raining. It's not freezing cold. It's not burning hot. It's going to be sunny and warm today but not unbearable. Every day is a blessing. Every day brings opportunities and possibilities and lessons to be learned. Even Mondays. I'm excited that fall is coming... I'm ready to start enjoying fall foods such as apples and acorn squash and I'm ready to shift from my summer salads to my fall stews and soups. I'm hoping to keep the weight loss mojo while going thru the fall and holiday season. I've decided to allow myself two "no counting" days... Thanksgiving and Christmas Eve (when our family has been getting together lately). (and yes, Mary, I'm considering your offer to spend Christmas in Alabama, although, honestly, the one time in my life I didn't wake up in my own bed on Christmas morning, I found it really sad... and I'm not sure I want to wake up anywhere except my own home... even if that means having a quiet day alone)... but in preparation for those no counting days, I want to make sure I stay on track between now and the end of the year... I'm losing an average of 1.6 pounds per week ... there are 13 more weigh ins this year (Christmas falls on a Saturday) which means that I could easily be 20 pounds lighter by 2011... so I need to adjust for those holiday indulgences. Time for me to glam, pack my lunch, eat my breakfast, wake the kid (who was up way too late last night) and get this week underway. Hope you have a Marvelous Monday and a Wonderful Week. Love and hugs! I woke up at 5am with searing pain in both ears... sinus pressure... you've gotta love it. I took an allegra and within a half hour i remembered why I hate pharmaceuticals.... nausea, dizziness, heart racing, that out of body experience. Ugh. There's a heaviness in my chest, I know this junk is draining. Last night at around 8pm I hit a wall.... you know that feeling when all of a sudden you can't keep going and you're absolutely going to drop? I gave in to it and went to bed... I didn't go to sleep immediately... watched football... but I couldn't have done anything more strenuous than change the channel. I fell asleep and was awoken at 11pm with the baby next door screaming its head off. The joys of duplex living. After some time...I fell back asleep. But seriously, I still feel sorry for anyone who isn't me. I'm a little bit sick... a little uncomfortable... mildly dysfunctional but... a year ago I was battling pneumonia. I was struggling to work at all. Two years ago I was battling other, much bigger demons. I'm so excited to be who I am and where I am and I'm even more excited about who I will be in another year... two years... four years. I just know that life keeps getting better. I know what I'm capable of surviving. I know that I can face near death, devastation, homelessness, having my car repossesssed, chronic illness, loneliness... and I can SURVIVE it. I'm one tough cookie! I feel sorry for anyone who is still learning who they are and has to live with the uncertainty and fear of how much they can take. I already know. No doubt... there are rough waters ahead. On paper, unless child support suddenly materializes... and I hold out little hope... he's playing sketch-bot again... refusing to return my calls, answer emails... on paper, this month will leave me upside down and out of cash long before payday. I'm gonna run out of money before I run out of month. I'm anxious. But it's an anxiety that is coupled with peace... knowing that I've survived longer on less. It's an anxiety that is coupled with appreciation for the fact that I've learned how to perform loaves and fishes miracles from my pantry. It always comes from somewhere. God always. Always. ALWAYS provides. I feel sorry for anyone who is unhappy with their body and their health and still hasn't figured out how to conquer those demons. I'm not where I want to be but I've found a plan that works for me and I'm working it to my benefit. Someone asked me yesterday if this was my first time on Weight Watchers... I answered that it was my third... and they skeptically responded that they had heard that anyone who went off the plan gained their weight back. Um. Well. Let's call that a no-brainer. If you revert back to an unhealthy way of eating which had caused you to gain weight in the first place... doesn't it stand to reason that you would gain weight? I mean... even people who have surgical intervention at weight loss WILL STAY FAT if they don't alter their eating habits. If you always do what you've always done, you'll always have what you've already got. It's not that I sold my soul to Weight Watchers... I pay my $40 a month until I reach goal and then I become a lifetime member... and as long as I stay at or below goal, I never pay again. So you can enjoy the benefits of what you learn, keep learning, maintain that accountability for life, just by keeping up the healthy habits that you learn in the program. Honestly... it kinda pissed me off. The idea that ... if there's not a weight loss plan that will guarantee success with no personal responsibility, no correction of bad habits... that they just will stay fat. I feel sorry for anyone who hasn't made the connection yet that you hold within yourself the power to be healthy and that every day, every meal, you have an opportunity not just to feed yourself but to heal yourself with every single bite. I feel sorry for anyone who hasn't yet realized that food=fuel, that consuming empty calories is robbing them of being who they could be. I held Bitty in my arms like a baby this morning and he gazed up at me with complete surrender and adoration. I feel sorry for anyone who doesn't have some creature in their life that loves them unconditionally. During the Darby reign of terror, I was not allowed to use the term "unconditional love" because, in his opinion, all love is conditional. I feel sorry for anyone who has never been loved unconditionally. For all the people in my life who don't love me like they should... there are an equal number of people who love me far more than I deserve. Maybe even a greater number. I feel sorry for anyone who doesn't get to feel the crisp coolness of late summer/early fall in the mountains. I feel sorry for anyone who doesn't know the joy of giving three little girls three silly bands each and knowing that for 33 cents each, you reminded them that they are loved. I feel sorry for anyone who doesn't have the ability to say what's in their heart... or find joy in frustration... or find encouragement from old friends, new friends and strangers by means of the internet. I feel sorry for anyone whose glass is half empty.... who doesn't have something greater than themselves to believe in... who has lost faith in mankind... who has never been rescued... who can't appreciate the miracle that life is. Ok... so maybe you wouldn't want to trade lives with me... but I feel sorry for anyone who hasn't been blessed the way I have. Happy Sunday! I lost 1.8 pounds this week for a total of 22 pounds! I made my ten percent weight loss goal! I might, quite possibly hit my ten percent weight loss goal. I'm right there at that one pound that I need to hit the ten percent and I haven't finished all my morning... rituals, shall we say? I think it will be slightly lower before I leave in 2 and a half hours. That's why. I need this in such a bad way this weekend. I would so love to be able to remember this time of year as the anniversary of the time I hit my first ten percent weight loss goal... instead of the other dark things. Because, as we discussed yesterday, looking back is not a good thing. That's why. Ten percent is just this first goal... after that I'll set another ten percent goal... which will take me to 175 pounds. Still obese, friends. That's why... I have a long way to go to be at a healthy weight that I can maintain for the rest of my life. After that I'll set another ten percent... to 158... which, just for frame of reference... is what I weighed when I made my fabulous journey to NYC in 2006. Can you believe it's been almost five years since then? Can I just tell you how much I'm itching to get back? Can I just tell you how truly blessed I am to have found a sister-friend there in New York. I never imagined that my little brother... ten years younger... would bring a lady into our lives who would become such a strong force in my life. I rarely go more than two days without hearing from Candice. She encourages me, shares tips with me, prods me along. Of my four brothers' significant others... there are two that I haven't heard from in years... there's one that I see at least once a week and who checks in with me as often as she can but she leads a crazy busy life... and there's Candice who is really involved in this process with me. Two sisters who serve as my support group. That's one reason why it could happen. I had a dream last night about Purple Michael. I dreamed that we were on a train together - like a subway or a commuter train - and I was comforted by knowing he was there in case anything happened to me but he didn't see me there. I kept trying to get his attention and he couldn't see me. Like... so close but yet so far. Maybe symbolic of the fact that he's been in Georgia this week but soooo, sooo busy that he couldn't possibly make the trip up here to the mountains and I was soooo soooo busy that I couldn't possibly take a day off to drive to where he is. I had been thinking about him yesterday, I know that's why I dreamed about him. I'm so excited that he's going to be here the whole month of December... and even though he's gonna be working, I can hang out there while he works and just soak up as much of him as possible. That's why... I need to be healthy and energetic enough to cram a few trips to Stone Mountain into my life in December. When I was at my lowest point, I had to really focus on the things that mattered to me, my reasons for living. 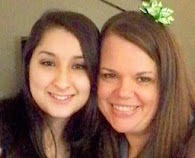 Two of those reasons were my nieces, Jamie and Sarabeth. And those same reasons for living are my reasons for living well. They emulate me... they do the things I do.... little Jamie is a mini-me. If I stick my arm out the car window to feel the cool wind rush by as I'm driving... she does the same thing (this really happened). I want them to be strong, beautiful, healthy women... and one way that can happen is by having them grow up with strong, beautiful, healthy women as role models... their mommy, their Aunt Mimi and their Aunt Heather. It's a responsibility I have toward them. After those next two ten percents... which will take me to 158... then I'll focus on that last 21 pounds to goal. At my current rate of weight loss... just a little over a pound a week average... I should be at goal in October 2011. It's a long journey ahead... but I'm focused... I'm determined... I'm loving this, loving the success, loving the food that I'm eating, I'm loving saving money by not eating out and I really believe it could happen. Not just ten percent... but the whole deal... at goal I will have lost 36% of my body weight! Can you imagine what a difference that will make on my joints... heart... lungs? Today Austin and I are supposed to go to an informational meeting about a student travel program he's been invited to participate in. He's going to have a major meltdown because after much consideration and investigation... I've decided we're not going. I found several complaints about this company online... problems with kids being overseas and having medical issues or behavioral issues and there being no assistance from the company. If any kid WOULD have a problem, it would be Austin... and I would be less prepared than anyone to get to him or get him home in an emergency. The risk is too huge, the price is too high. If he really wants to travel overseas, our church offers several missions opportunities and I'm sure they would help raise funds for him to go. Austin won't like it... but I just have to exercise parental caution and keep him safe. As a consolation... I'm taking him to North Georgia BBQ. Think that will work? Time for me to glam and get ready for my weigh in... wish me luck! I've been immersing myself in the book of Ruth and the history surrounding it... because not only is it a great spiritual lesson, it's also a fascinating story. And I've been, as you know, sort of moping/dwelling/focusing on what happened two years ago. But as I've been digging into the background of Miss Ruth... and the origins of her people - the Moabites... descendents of Lot... I came across the story of Lot's family's exodus from Sodom and Gomorrah. You may remember that the angel of the Lord led Lot's family out of this sinful land just as it was being destroyed and told them not to look back. Lot's wife looked back and... according to biblical legend... was turned into a pillar of salt. They had lived in a sinful land... a place where Godly people couldn't prosper. They were delivered by the very hand of God... on their way to the place where He designed for them and something in that old life had such a strong pull on Mrs. Lot that she directly disobeyed God and looked back. I just don't think it's a coincidence that God laid that lesson on me as I'm approaching that anniversary... or seasons of anniversaries... the day I was reborn (Copyright Mary Brown)... the day I moved here... the day I started working with Duane... the day that Misty died. So many benchmarks from the past... days on the calendar... that - if I let them- can drag me down or give me strength. And God reminds me of a time someone was told not to look back... and did... and was turned to a pillar of salt. Now... Wednesday night we were asked to make a poster listing our birth name and the name that described who we are right now, in the same way that Naomi (Ruth's mother in law) changed her name to "Marah" which means bitter. I put one word: waiting. I feel like I'm in limbo. I feel like I'm in the middle of some crossroads of life. I feel... stuck. Like I'm frozen in time. Like... I don't know... a pillar of salt, maybe. And maybe... I'm stuck because I keep looking back. Qavah is waiting with expectant hope. It's waiting with faith that God will deliver. So next week when I work on my name poster again... I'm adding that new name, Qavah. That's who I am, who I will be. Not a pillar of salt... frozen in time... qavah... flourishing with expectation for the amazing things that God has planned for my life. Subject: Lot's wife..So, it's the day before Yom Kippur. For those not in the know, that means it is erev Yom Kippur. In the Jewish faith, this is the day when Jews atone to the People, not only for the mistakes of the past, but for the o...nes going forward. In Judaism, one cannot repent to the divine if there are still those to whom one has not repented on earth. The key however, is that the redemption here is moving forward. One can have sorrow for the past, but rarely can one fix it. Fate seals the past for us and it cannot be altered. We can fix the future. We know we will make mistakes and knowing that, by virtue of our humanity, we're going to make them going forward. If you already know that, you can already feel repentant and sorry, for the sorrow is not for the mistake itself, but for the hurt it causes. So too with our glories, and middles, and all the rest. It is important to know the past, but live in it. To heal the world takes forward thinking zealousness to run toward the problems of the world and to fix them.Once someone is obsessed with the past, they have salted the earth and nothing new can grow... might as well move forward. That gave me chills. Can you imagine... being a pillar of salt that is preventing any new growth in your life? I am unofficially this morning at the weight I need to be to earn my 10% loss at Weight Watchers. I just have to make sure I don't do anything in the next 24 hours to cause bloat or float or additional weight. I want that keychain! I want to keep moving forward... I have a new life to live and I need to live it as healthy as possible. My friend Cyndi and two of her babies came over last night to hang out. My house was a mess - as usual - and I didn't have time for a "company cleaning" before they came over. Austin's friend Logan was hanging out here after school and he helped take out the trash and change the litter box (btw, you know he's a good kid when he'll change your litter box for you) but he dropped some of the kitty poop on the floor and Cyndi's 5 year old son wanted to know why we dropped chocolate on the floor. LOVE IT! SO I guess I'll work on getting my house back in order. I think I want to decorate for fall... or decorate at all. I really need my mom to come up here and (finally) help me hang curtains and settle in. It's time, right? Hope you have a great weekend... I'm so glad for Friday, so glad for this life I've been given and I'm not looking back. It's thankful Thursday and I have this wonderful post swirling around in my head and because the old laptop was giving me trouble this morning... I'm down to 8 minutes to put it together. And yes, Aunt Ginger, I do type that fast. Ridiculously fast. Annoyingly fast for those who have to hear it. You'd think I could get a job doing something that involved fast typing... and make big money for it... but... notsomuch. I'm really wearing my emotions close to the surface this week. The anniversary of the day I almost died is Sunday and it's weighing heavy on my heart. I'm grateful for the life I have... a life I never thought I could possibly have, being relatively self-sufficient and able to live life without requiring a significant other to "complete me". I've come a long way, baby. But... this anniversary reminds me of things that I don't want to remember. Dean has wanted to talk to me this week and I just haven't had the emotional energy to talk to him. (Dean, btw, for new readers, is the ex-husband of the woman my ex-husband was involved with). He's still so deep in the battle and I want to forget the battle. Dean is so precious to me... and he has carried this raw, deep, open wound for so long. I can't imagine how painful that must be. And some times I'm able to tend those wounds for him and share the wisdom that God has given me... but not this week. This week my wound needs tending and it's taking all my energy. Because... ultimately... my job is to go thru life as sanely as possible, appearing joyful and strong and grateful and humble. Right? I'm supposed to be humbly grateful instead of grumbly hateful... that's my calling, my mission, my destiny. As I told my sweet niece Jamie last week, "God has called me to be the best aunt I can be"... that's what I focus on for now because ... well, that's what I have. I texted Cody yesterday, as I mentioned, and asked him to have his dad call me. He didn't call. I don't know if this is the beginning of another season of no child support.... this is his usual M.O.... stops paying without warning and makes himself scarce so that I can't even find out when he intends to pay again. It's frustrating. And his timing is really bad. Ok... over my time limit now... must start the glam routine and put together my breakfast and lunch. Pray for me. I'm weary right now. Grateful, yes. I know that these are the bonus years for me, the years that I wouldn't have lived. I know that every friend I make now is a person who never would have known my name if I had my way back then. I know that, but for the grace of God, I would have never been able to enjoy the cool late summer mornings. I know that He has a plan for me and that in time, I'll understand it. Must glam and dash. Please comment... y'all have been awful quiet this week and I really need to know you're there. Love and hugs, y'all. I can see the finish line for my first big weight watchers goal and I'm soooo eager to get there! As of this morning... I'm no closer to it than I was last Saturday... but my weight loss is cyclical. I have a great week, two ok weeks and then a week of miniscule loss - like .2 pounds. This week is the miniscule loss week. But I still believe... it could happen. And if not this week, next for sure. The point is that I'm moving forward and that makes me super happy. My co-workers dad - the one who had heart surgery almost two weeks ago - is back in the hospital with infection. Please continue to pray for Hank. He's a great guy, a really loving father and he is so uncomfortable. I'm having a baked potato for breakfast. Why not? I try to vary what I eat... I rarely eat a traditional breakfast. Yesterday it was a spicy black bean burger (without bun), carrots and hummus. I loved all those flavors, it had protein, veggies... good stuff. I sent Cody a text this morning and he replied with, "who is this?" I try to give my kids as much space as they want... don't place obligations on them about how often I expect them to contact me... I don't bother them. I want them to want to talk to me but if they don't... I respect that. The last thing I want to be is a drag. But... I mean, come on... wouldn't you recognize your mom's phone number? Oy vey. Totally broke my heart. Just a big old exclamation point on my emotions about the upcoming holiday season. Anyways... that's the extent of my whine for the day... otherwise... glad it's Wednesday, glad to be back with my girls at church tonight... looking forward to meeting our new employee today... looking forward to building new team dynamics in our office. Must glam and dash... love and hugs and hope for a whineless Wednesday for all of us! Dear God, make me a bird, so I can fly far… far away from here. Some days I’m ten feet tall and bullet proof and some days a whole tractor trailer full of calgon wouldn’t be enough to take me away. At my office they mentioned that it’s been interesting getting to know who I am apart from the meds… you know, mood stabilizers and anti-depressants and all. Detoxed from sugar and fat. And I guess this, then, is the real deal. Anyone want to come play on my mood swings? I’m just aggravated and frustrated and over it all… grateful – so very grateful – for the things that have saved my hide this year. My dad’s help… lots of it. More than I deserve or is fair for him to give. My patient and understanding landlord. People in my life who truly, one hundred percent, love me for who I am – unmedicated – unplugged – off the chart. And on the flip side I’m aggravated by the ones who haven’t done what they should have and how their decisions – indecision – indifference – has impacted me unfairly. Sometimes life really is unfair. And I look out the window at the trees that are just beginning to turn and I feel the slightest tinge of coolness in the air and I know that in spite of myself and my shortcomings and failures and missteps and all that I am not… that God loved me enough to set me down in a really lovely place… and that His world is mine to embrace. I’m not glancing across a landfill… living in a ghetto… buried six feet under… I’m on a mountaintop. Geographically, if not spiritually. I’m like a duck on the water…. Gracefully gliding across looking ever so peaceful and beautiful (ok… maybe not beautiful but it’s my metaphor) but underneath the water, my feet are paddling like crazy. I’m really in a great mood today. I know that seems weird. Like… Nero fiddling while Rome burns. Was it Nero? I don’t remember. I’m not college educated… I’m Wikipeducated. It’s cheaper. No student loans. Not that there’s any great crisis lurking – that I know of – just been behind the 8 ball for so long and dreading trying to do the obligatory Christmas stuff for people who don’t need it, deserve it or appreciate it. Baby Jesus didn’t come to earth so we could all go in debt buying fruitcake and reindeer sweatshirts. The uncertainty of it all is getting to me. Will I be able to hold down the fort until Austin graduates? After that… I can live in a motel. I don’t care. Or a basement apartment. Or… I could live on a cruise ship or … be a gypsy… or a campground manager. I don’t care. Really, I don’t. I’m up for any adventure. I just want to get him grown and educated without having to put him through any more changes. It’s almost payday and payday won’t bring enough to pay what I owe until the next payday and that makes me angry/frustrated/depressed. I can almost make it when child support is regular, even when it’s not what he owes, as long as it’s something consistent. But we’re off that train again. Again. Two names guaranteed to make me laugh: Jim Nasium and Oliver Klozeoff. Sorry. It was time to lighten the mood. Austin said that his agriculture teacher made breakfast for them the other day – eggs and sausage. The sausage came from a hog they had raised the year before. Hogs that “show well” become breeders. Hogs that don’t “show well” become breakfast. I have a hard time imagining my kids’ science project being consumed in class. Such is life in the country, I suppose. Everything has a purpose… everything is useful in some way. Even the failures can make someone happy. And that's sort of my life here... making a difference in whatever way I can, even if it feels like I'm just barely getting by sometimes... I'm sure I'm useful to somebody. Two new tools in my arsenal today: zumba and millet. Zumba as in - the latin dance workout which is H-uh-ARD and had me sweating from every single pore in less than 5 minutes - even my shins - but it's fun and the time ticks by without even noticing. I've been totally uninspired to exercise but this inspires me. I don't have a real zumba tape (disc, I guess, since no one has VCR's any more. Why do we still call them tapes?) but I found some bootleg ones on Youtube. So I guess I can call my workout - Bootleg Zumba. There is actually a zumba class near my office that I could maybe attend one day a week. It's four days a week but two days it starts at 5:30 which is when I get off - so I would miss the first half of the class by the time I changed and drove there. And on Wednesday it starts at 6:30, which is when I'm in bible study. But Mondays... it's at 6:30 and I just might be able to go. Although Mondays are my days of least motivation... but I'm working on it. I think I mentioned the mystery grain from the bulk bin. I thought it was either bulgur wheat or barley - Austin thought for sure it was barley. But this morning I ran out for some things I forgot yesterday (cat litter, primarily) and I realized that it was MILLET. Sooooo... I went to the Google Cooking Academy and found out that I could MICROWAVE millet! Happy day! I did... and it's delicious... and matched beautifully with my massaged kale and blackeye pea salads for lunch today. So that's my happy Sunday. I'm about to curl into my cozy bed and take a much needed nap.